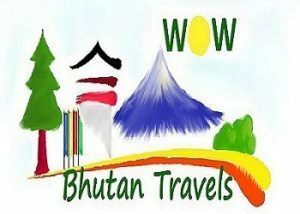 ‘The Cloud Kingdom’ Luxury Tour adds a little bit of indulgence to your exploration of Bhutan’s western valleys. Spend your days exploring Bhutan’s historical, cultural and scenic splendors by luxury 4WD before returning to your boutique accommodations to experience first class service and luxury facilities including massage, spa, well-being therapies, pool and fine dining. The flight to Paro is one of the most spectacular mountain flights in the world, with a constantly changing panorama of some of the highest mountains on earth. This beautiful valley is home to many of Bhutan’s oldest monasteries and temples, and the country’s only International airport. After being welcomed with “Khadar” (traditional scarf), our representative will provide you with the necessary assistance for completion of all immigration and customs formalities. After lunch enjoy afternoon sightseeing around Paro transported by luxury 4WD, including a visit to the Ta Dzong Museum housing many religious relics, works of art and handicrafts offering a great orientation into Bhutan’s historical, cultural, and religious past. Next, visit the Rimpong Dzong to see the painting of the great saint Milarepa, considered as the master of meditation by the Bhutanese and believed to have attained enlightenment in a lifetime. Dzong’s are large monasteries and district administrative centres, which were once strategic forts. Afterwards, drive to the capital, Thimphu (1.5 hours) following the Pachu River. On arrival check into your luxury accommodation. Before dinner there will be an orientation on Bhutanese etiquette by your guide. Overnight in Thimphu. Drive by luxury 4WD over the Dochu-La pass (3,100 meters), which on a clear day offers an incredible view of Himalayan peaks before descending into balmy Punakha valley (about 3 hrs total driving time). The drive through the countryside affords a glimpse of everyday life in this most remote of Himalayan kingdoms. In the Dochu-La area there are vast Rhododendron forests that grow to tree size and bloom in late April/early May covering the mountains in a riot of glorious spring colour. In the morning drive or walk to Yabesa village and hike to through ricefields and up to Khamsum Yuelley Namgyal Chorten, built by her majesty the queen Ashi Tshering Yangdon Wangchuk. Perched high on a hill on the bank of the river, the Chorten houses paintings belonging to Nyingmapa Traditions. Drive back to Thimphu by luxury 4WD where you will have an opportunity to visit handicraft and souvenir stores. Afterwards proceed to Paro, visiting Semtokha Dzong en route. The Dzong, built in 1627, is the oldest in Bhutan. It now houses the Institute for Language and Culture studies. On arrival in Paro, check into your luxury accommodation. Enjoy an afternoon at leisure with the option of indulging in a Spa Treatment (subject to availability. Overnight in Paro. On the return drive to Paro, visit 7th Century Kyichu Lhakhang, one of the 108 temples constructed by the Tibetan king Songtsen Gampo. Afternoon is at leisure with the option of resting in the beautiful surrounding grounds, or enjoying an optional Spa Treatment (subject to availability). Dinner in Paro. Enjoy breakfast before driving to the airport for flight to your onward destination.